After a short break we’re back in the city! Well, we had this awesome opportunity to play in our very favourite spot in Las Vegas – the MGM Grand Hotel Casino. Everything happened so quick! Just a few weeks ago our agent Sarah told us she has a surprise for us but she didn’t keep it in secret for long. It turned out that one of the casinos in LV we used to play regularly in in the past would love us to sing at the party on the occasion of the casino’s 40th birthday. And you know what? We didn’t think twice! That was the best possible surprise Sarah could make for us! Indeed, a few months ago we were going to give up playing concerts together. Naomi felt exhausted lastly and it seemed to be the best decision to break our performances up, at least for a few months. Though Naomi felt better and better were still focusing on resting, didn’t look for new places to play. But when Grand Hotel Casino’s manager called us we had no doubt we are ready for the adventure! Oh, since the opportunity’s occurring I would like to thank Mr Cashman for the good intentions and hospitality, this offer was something we were waiting for for a long time!! Another person we are very thankful is Mrs Ariana McCluskey the hotel’s manager who organised everything perfectly! From the beginning we had no doubt everything’s gonna go rightly! She took care of us, gave us reliable information and made our stay in LV super-fun! And the last thanks go to our merry agent Sarah. Sarah sweetie, thank you for your devotion and that you are always here when we need you! 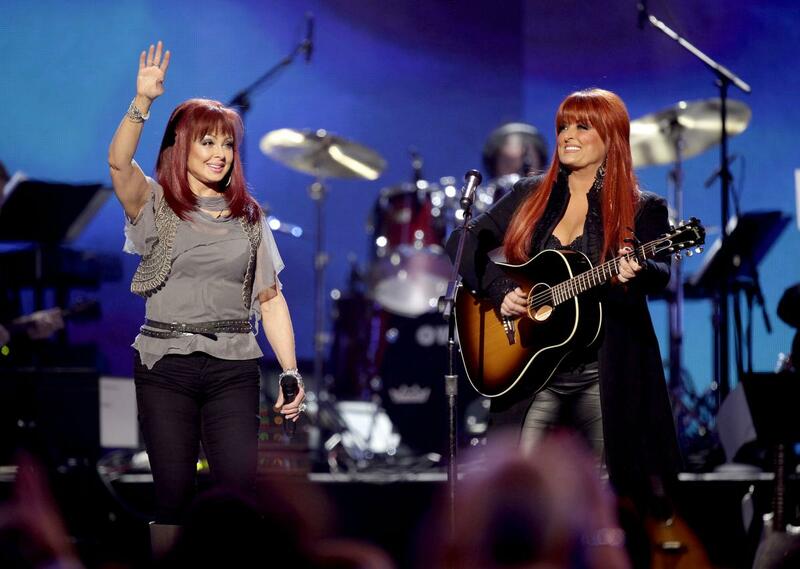 Thanks to those amazing women we could feel again the same that we felt every time we sang at Las Vegas’ casinos. Ok, enough, let’s get straight to the point! The biggest problem for us was to choose songs we’re gonna sing! Indeed, it’s a big thing to choose from thousands of hits just few ones that are suppose to move the public. We consulted so many our friends, family members and so on… We really needed an advice so we know what people would like to listen to after such a break. Finally Sarah (thanks again sweetie) has created an online survey so all our fans could choose and help us decide. And this way we finally selected 15 most memorable following songs – “Mama He’s Crazy”, “Girls’ Night Out”, “Love is Alive”, “Have Merci”, “Had a Dream”, “Grandpa”, “Cry Myself to Sleep”, “Don’t be cruel”, “I know Where I’m going”, “Turn It Loose”, “Give a Little Love”, “Young Love”, “One Man Woman”, “Guerdian Angels”, “Born to Be Blue”. The choice turned out to be the best choice! The audience was moved! And were we even more! The most touching melody it transpired to be “Mama He’s Crazy”. Actually, we could predict it since it used to be the most popular song of us. And even we found that son so nostalgic…. It’s been a long time since we sang it the last time. I will never forget this feeling, be back on the casino’s stage again after so many years! We had a lot of fun and hope you guys as well had a great time listening to us! And here’s a little surprise – it’s not over yet. We’ll be back pretty soon! And not only in USA. All our love to You guys! Yesterday you were totally awesome! I’m in Vegas just for few days but once I got to know you’re gonna perform I decided I must be there! Love you guys, you’re awesome! Thank You Matt. We’ll happy to sing for people like you. Welcome to Vegas and see you in the casino! I guess it doesn’t matter what will you sing you will be amazing anyway. Unfortunately, I was not able to see your performance but I hope next time… Kisses!